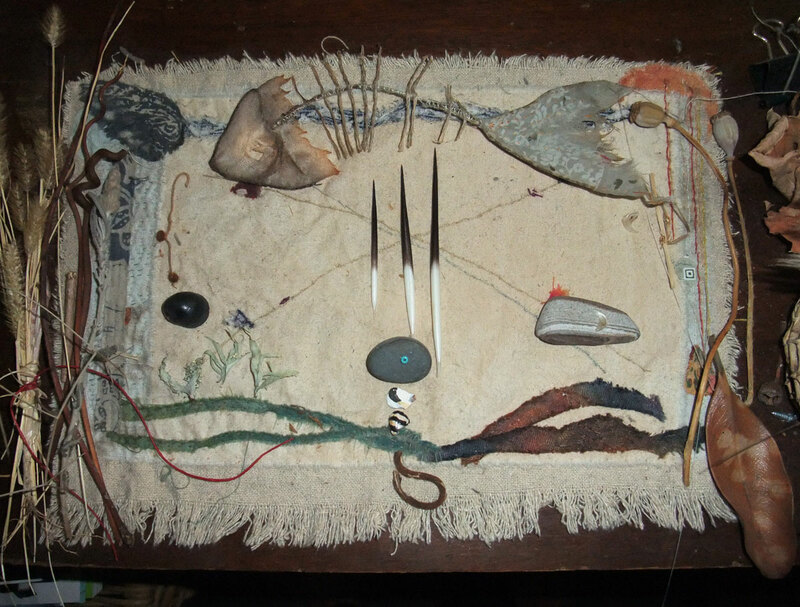 Grace’s X-roads cloth is magic, in the centre of the cloth the echidna spines and stone from the Ganges River in India are gifts from my sculptor friend Bronwyn’s visit to India in January this year (the blue glass bead like an eye is just for fun). I haven’t been visiting many blogs for just over 3 months now . . . I’m so glad I did today. Johanna and Grace are among my favourite artists. I’ll pay them a visit too while I drink my morning coffee. good to see you Wendy! 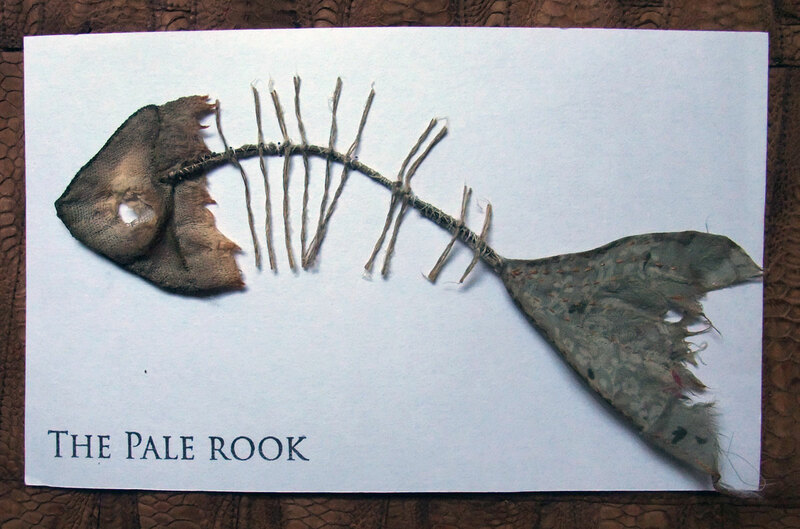 You have a Pale Rook fish! Oh my goodness! Perfect to add to your collection of wonderful things. And that last photo is glorious. the fish is even more beautiful in the hand than on the screen, you must pop in for a cuppa next time your in Newtown Carol! Such interesting and beautiful art……….all of it! I love this 21stC world & the circle of cloth conjurors that have gathered at Jude’s Spirit Cloth how would we have ever met with you being in The Netherlands and me in Australia to hold your beautiful Bees? The last picture looks like an altar dedicated to the interconnections that bind us all. Its very beautiful. WONDERFUL images…..and using Grace’s cloth as a backdrop too. Perfect. Wonderful, wonderful, wonderful! 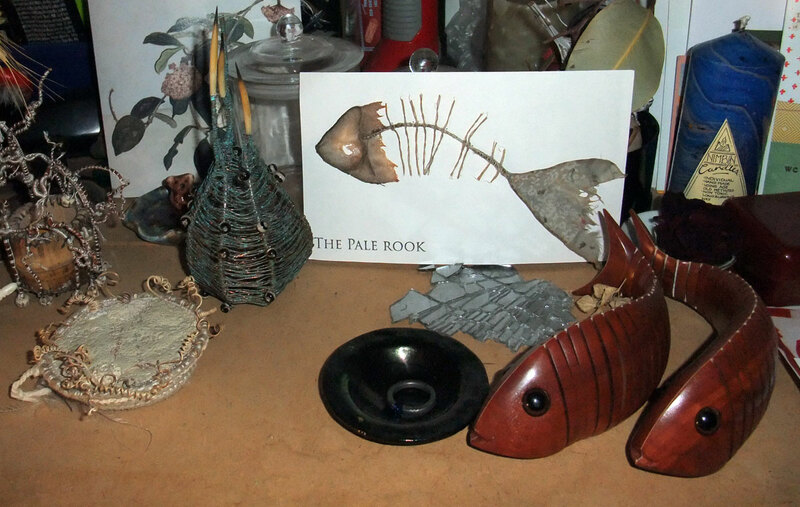 And those two wooden fish…I have a similar one, which belonged to my mama, my whole life. Mine moves too and has been one of my treasures from her! Love seeing yours as I’ve never seen another one! they were the perfect Piscean birthday present from one of my favourite gardening customers, we have been working for her since 1993, she spoils us rotten!